Recent times have witnessed significant change in the AC motor control industry. Company takeovers and restructures have often reduced technical support and service to rudimentary levels. Customers have been left frustrated and many are revisiting their supply options. Amidst this turmoil Power Electronics, who has had a long and close relationship with former New Zealand drive manufacturer, PDL Electronics, has established themselves as a manufacturer and supplier of variable speed drive and soft starter technology. Based in Spain, Power Electronics has been a supplier in their local market and are now focused on developing an international distribution network. Focused solely on the supply of AC variable speed drives and soft starters and with an experience in the AC motor control industry the directors of Power Electronics Australia make a vast amount of application experience and expertise available to Australian customers. Special attention has been given to the unique requirements of Australasian industry. With such a varied industry base it is Power Electronics’ objective to offer a product which is flexible, easy to use while providing reliability in harsh environments. This coupled with easy access to application and product support will ensure that customers can integrate any of its products. 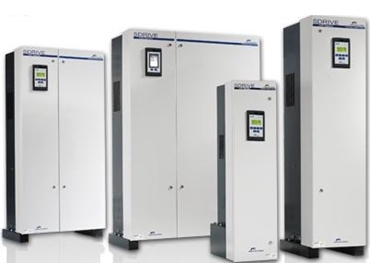 Power Electronics’ product portfolio offers customers a solution for every variable speed drive or soft starter application. Utilising new devices, the performance of the SD700 is good; the interface is comprehensive and the layout is entirely functional. Extensive field trials in harsh environments ensure that Australian customers are not only getting a product that is thoroughly proven, but one that has high performance coupled with a familiar and easy to use programming system complete with plain English, four line displays or with an optional graphical touch screen. The team’s experience in this specialised industry sector has come from careers working with New Zealand manufacturers of AC motor control equipment. O’Donoghue spent 13 years as the general manager of PDL Electronics and was instrumental in seeing the company achieve significant growth, particularly in the export area, while overseeing the company explore and develop leading edge new products. Duncan held sales and management roles for more than eight years with PDL Electronics servicing both the domestic and Pacific region markets. This expertise was supported by a solid background in the industrial electrical field. Sheridan brings a diverse background of knowledge acquired in motor control applications and industrial automation. Following seven years operating in sales within the New Zealand market, the past three years have seen Sheridan expand into international sales positions for both PDL Electronics and AuCom Electronics. Smith moved to Australia after 8 years at PDL Electronics Napier factory where he held the position of senior applications engineer. He joins Power Electronics Australia from a local ABB drives distributor and brings a great deal of commercial and engineering experience to this new operation.